Your skin is your largest organ, and how it feels and smells can greatly impact your mood, and we have specially formulated our products to put you in a coastal frame of mind. So let us take you on "a trip to the beach with every bath." Hi there! I'm Sara Nesbitt, CEO and Master Artisan here at Coastal Carolina Soap Company. My business journey began in 2001 as I faced my first summer break in Divinity School and my husband and I found ourselves with the blessing of too much family and the less-than-a-blessing of not enough income. We were looking ahead towards Christmas and were thinking about meaningful, homemade gifts we could give to these people who mean so much to us. We first pondered mosaic arts, which are beautiful and have the added benefit of getting to break things with hammers. Then walking through the local big box craft store, I found a book on natural soapmaking that I thought was much more fascinating than stepping stones and frames. I studied that book cover-to-cover and made many of the lovely ideas in it for Christmas. The following spring, a friend of ours suggested I sell my wares, and three months later, I had a business and a license to sell from the state. Our business started out with just me, though my husband, Peter, was great for heavy lifting at events. 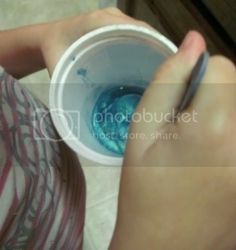 I was the sole artisan, specializing in novelty soaps, bath salts, bath fizzies, lip balms, bubble bath, and lotion. As my business grew and as I grew as a soapmaker and artisan, I dove into the world of cold process soapmaking, now enjoying the control I have over the actual ingredients that go into my soaps and the properties each ingredient imparts. 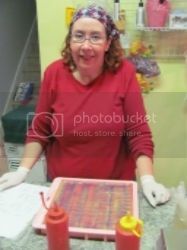 Our business has evolved through the years: My older daughter, Mary, controlled the Girly Arts Made by ME line until the end of 2015, Peter has earned the title of "Swirl god" with his amazing soap swirls, and Mary is learning the art and science of cold process soapmaking. 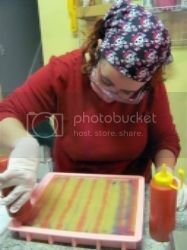 Even Hannah has begun to mix colors and create beautiful novelty soaps. This amazing growth and incredible changes has led to the next exciting part of our journey. As we've traversed this business journey, we have gotten to know our customers, sometimes online, sometimes in person. It's not unusual for me to share hugs with customers and for them to email or message me with good news from their lives. Over the years, that initial desire to create something special for our families has translated itself into creating something amazing for our customers. In doing so, we've realized that our customers, like our families, deserve nothing less than the absolute very best for their skin, and we set out to provide just that, formulating luxuriously moisturizing soaps, premium cremes, and richly emollient lotions. In December 2015, we began the next exciting part of our journey as a family-run business. I decided it was time to make a major transition in the business, shifting my focus from primarily retail to primarily wholesale, while still serving my existing and new retail customers. I also wanted to change the feel of our products, allowing them to reflect this beautiful coastal area in which we live and which sings so sweetly to our souls. From that, Coastal Carolina Soap Co. was born, and we are totally stoked about all the great things that lie ahead! Now it's time for you to join us on this incredible journey as we embark on this exciting new chapter in our business. Enter into our online boutique and find the luxurious, artisan made soaps and body products that await as you indulge in the luxury you deserve and take a "trip to the coast with every bath."